Capturing a moment on camera is a beautiful action and freezing time with a photograph is something that shouldn't be taken for granted. 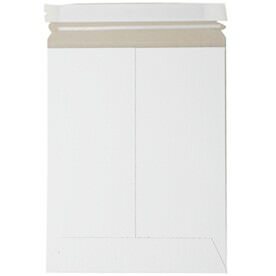 With these 9 x 11 1/2 Envelopes, also known as photo mailers, your photographs will be preserved and protected, guaranteed. Our photo mailers, or cardboard mailers, are made of durable and stiff cardboard ensuring that your photographs will not bend. Yet these do not only have to be used for your beautiful portraits or photographs. Use them for important documents that cannot be harmed or invitations that need to be preserved. Our 9 x 11.5 Photo Mailers are strong, rigid, and will last for a long time. Featured in two different colors, we are sure you'll find one that will not only protect but speak to your photograph. Go for our white cardboard mailers for a clean look. Available in a peel and seal closure or a tuck flap closure, ensuring that your document will not fall out. 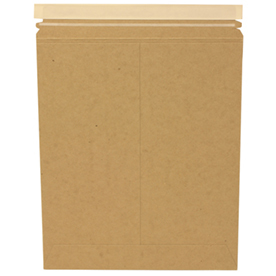 We also have brown kraft photo mailers that will make sure that your documents aren't just protected but help the environment as well. These envelopes are 100 percent recycled and have a self-adhesive closure too! These mailers will make sure that those moments you capture are protected forever.